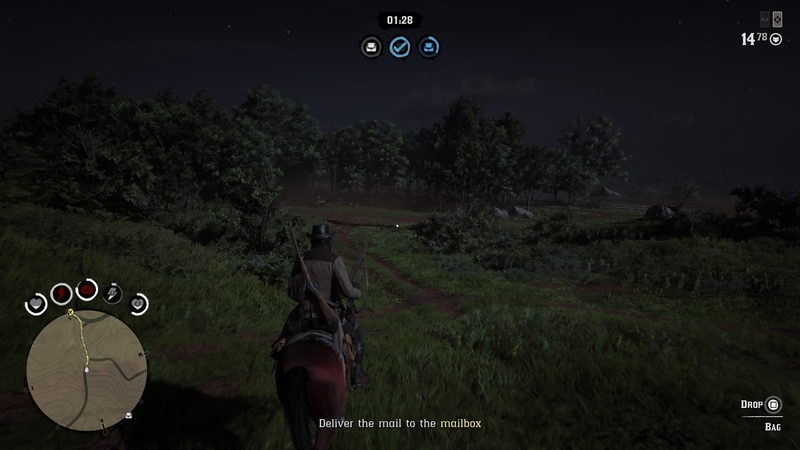 I was delivering a wagon and when I reached the drop-off location, I stood there waiting until the timer was only one minute left, and then I delivered it. I usually get 0.04 gold nuggets and 7 dollars but this time it was 0.16 gold nuggets and 17 dollars, not sure about xp but someone did it and said 400 xp or more. It doesn't seem to reward you for your performance but for the time you spent to complete the mission. Report if the payouts are same or there's an extra modifier that reward you for completing missions while pursued by rivals. What do you think ? Should they keep it like that or make some changes ? I've been tracking this (been having a tough time tracking time) and I think Time Spent and Job Type are the biggest contributor to pay. Also, some jobs have extra pay not in the final pay. Paid Killing jobs pay $1 and 25XP per target killed. Personally, I think it should be reversed. The quicker it is completed, the better the payout. And bonus if you get attacked by other players. Just sitting around to get more money is incredible stupid. yes its dumb, like in gta. but what missions are the "rooftop rumble" to grind? are they paying all the same? and what about story missions to grind? Sometimes I get a delivery mission from one of the stations. 3 bags with 3 deliveries per bag. Delivered 5/9 on my own before the timer ran out, think it started with 11 minutes. Around 350xp (plus 50xp per delivery). It's AFKish too, use cinematic camera to travel, but watch out for enemies and predators. A cougar jumped me once (and not in a good way) but the bag was still where I dropped it when I respawned. ETA: I don't see the problem with more pay for taking longer. If a mission can be done in 2 minutes and pays $2, for example, then 10 minutes (doing the mission 5 times) pays $10. Or do it once, take 10 minutes, and get $10. I know I'm not including loading times but trying to keep it simple to make the point. As long as there is a cap, like GTA missions have, it's fairly well balanced. Plus I don't like being forced to rush through co-op missions with randoms lol. Completing any mission 100% as quickly as possible should mean more reward and if it's a Free Roam mission but there is a lot of posses or players in the lobby there should be a further bonus. Taking longer to complete any mission should just give the standard pay out as normal. It's also the same as GTA:Online, if you replay the same mission over and over, the pay out gets lower. You have to mix it up a bit. A cougar jumped me once (and not in a good way). I usually﻿﻿﻿ get 0.04 gold nuggets and 7 dollars but this time it was 0.16 ﻿gold nuggets and 17 dollars, not sure about xp but someone did ﻿it and said 400 xp or more. So how long did the mission last until you delivered at last minute? I'm curious to whether it's worth it compared to PvP. I'd get 0.08 Gold every 6 minutes or so but getting 0.16 Gold in mission in how long? If it's 12 minutes or over, it doesn't seem worth it. And anyone could sabotage mission. I meant 0.08 Gold from Series Large. I was comparing to Stranger Missions. Just a heads up, there is a particular Stranger Mission that is impossible to complete solo. It involves delivering 3 mailbags, each with 3 drop offs per bag to various locations that are miles apart within 15 minutes. Its essentially the Post Op Sale equivalent in RDO. Oh and to annoy us even more, praising your horse WON'T increase its stamina slightly while you are carrying a mailbag. On the bright side, regardless if you deliver them all or not, the payout is pretty good. You won't get a Mission Failed pop up, instead, you'll get a Mission Over pop up. I bet 1.00 gold, it's possible to solo that with the best horse and saddle. Yeah, and a LOT of shortcuts. The GPS thing on map isn't reliable. Indeed the GPS is [email protected]#$% up..., but hey im having fun ! You can do it with any Elite horse I reckon, as long as you are stocked up on a lot of meds that replenish Stamina, as I stated, praising your during while holding a mail bag will not increase its stamina. I'd rather payment on performance. By R* logic, when I farm the final story mission for an hour, die 20 times, restart 20 times, I should get 150 dollars and 2 gold bars... but I don't... because I spent an hour on it and failed over and over. But if I'm paid based on performance for story missions and playlists, strangers should do the same. Not 100% sure but I think the rewards have been increased once already. What you said you 'usually get' is what I was getting in the first few days of beta. I've done those missions after the update. Did some stranger missions today, got some more than once so I was able to test a little. I noted the mission giver and location but not sure this is important. Also did some missions once (Ambush, Bushwack, Supply Wagon) but got disconnected and hungry so might carry on later if it would be any help. I'm running out of actual 'strangers' now though (not restarting character again) and I don't know how else to get an empty session. ETA: looking at the delivery mission results it seems as though the payouts increase every 2 minutes, as they do in GTA. 15 minutes max? (due to timer counting down). So my guess is caps no more than $20 per mission and around 350xp. Thanks. I guess stranger missions aren't worth it for gold, xp and cash. Not even close to surprised by this. GTA was the start, and seems it's followed over. A shame teamwork and/or efficiency can't thrive. I completed alone in Strawberry. 50exp x 9 + 250(+/-) exp for complete. Were the drop offs far apart? Started mine from Rhodes and took absolutely ages. That cap is just a guess and doesn't include the extra xp for deliveries, kills etc. Personally I do stranger missions for xp and hunting animals/feathers for cash. Haven't done any PvP so don't know what payout you get for those. Time shouldn't matter. It should be a set pay, that way you can do it and move on to the next job. Such a dumb system. They literally want you to afk in order to earn more money. So the stranger you work for prefers that you take more time in doing the objective for them for some reason?